Bring Mom to Barnard Griffin’s WINE BAR & EATERY this Mother’s Day on Sunday, May 12thand Mom will receive a lovely Tulip with our compliments. We added a special dessert item for Mother’s Day to our menu. It’s a homemade rhubarb crisp using fresh rhubarb from our farmer’s market and is topped with creamy vanilla bean ice cream? Yum! Barnard Griffin Winery’s WINE BAR & EATERY focuses on Fresh, Light and Contemporary cuisine, often with an Italian accent. 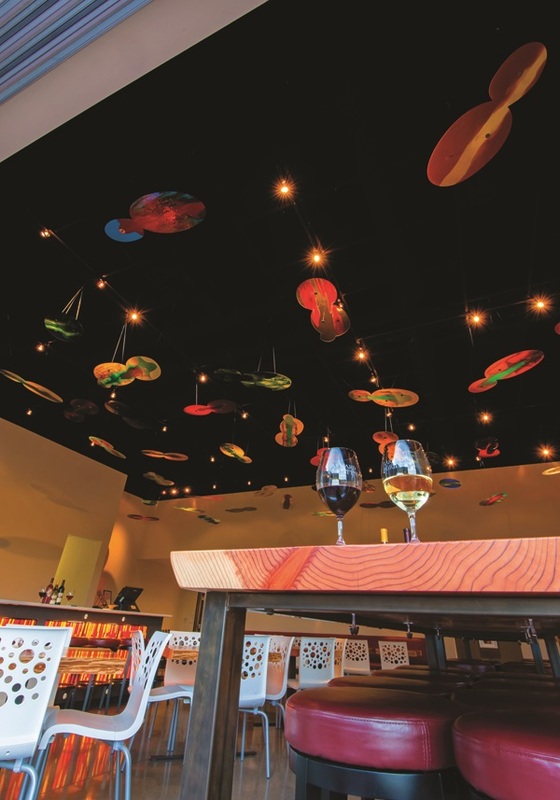 The interior décor is awash with colorful fused glass mobiles created by the winery’s resident fused–glass artisan and winery Co-Owner, Deborah Barnard. Whether it’s for a quick gourmet lunch, afternoon tea & sandwiches, wine/beer/light appetizers after work, or an early dinner, Barnard Griffin’s WINE BAR & EATERY is a fun and energized drop-in dining destination. Live music is featured most Fridays & Saturdays starting at 7pm. So, bring your Mom to Barnard Griffin’s WINE BAR & EATERY this Mother’s Day from Noon – 5pm. Way a great way to celebrate her day! Reservations strongly recommended. Their ‘11 Chardonnay just won BEST OF CLASS at the SAN FRANCISCO CHRONICLE’S 2013 Wine Competition, which is the largest American wine competition in the world.